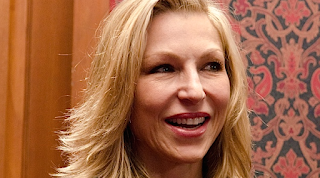 Actress Tatum O'Neal reveals she dates mostly women these days. Tatum O'Neal doesn't like labels, but the 51-year-old actress knows what she likes! "I like women," she tells People. "I definitely have been dating mostly women recently." The mother of three doesn't want to identify as bisexual, lesbian or any other sexual orientation for that matter. "I'm not one or the other," she says. Noted. Tatum does, however, indicate her current preference for females, saying, "I think women are the most amazing creatures on earth...They're gentle, and also more intelligent than the men that I've met recently." The actress, who was married to tennis star John McEnroe from 1986 to 1994, doesn't "have a steady right now," she says, "but I look forward to it." For now, though, Tatum is happily single—and sober. "I'm the most content I've ever been," explains Tatum, who for years struggled publicly with substance addiction.